Christmas is coming... discover our presents and delicious chocolates to share with family and friends. Christmas is the time to share many happy times with family and friends. Leonidas and the know-how of its Master Chocolatier can help. Besides classic Christmas pralines and chocolates there are now new delicious recipes. Don't miss out ! The Christmas tree is the symbol of Christmas. Our Master Chocolatier makes new recipes each year. Besides seasonal favourites, discover our new marbled milk chocolate Christmas tree, filled with sweet almond cream. 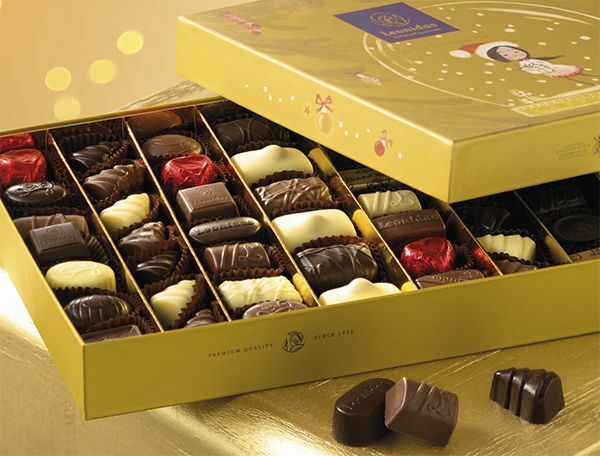 Dive into the magic of Christmas with our Leonidas box of joy full of delicious Christmas chocolates. A pleasure for the family to discover!